After works. Credit: William Morfoot. A new wetland has been constructed to provide a natural, low-cost and sustainable water treatment method – whilst avoiding the installation of costly and carbon-intensive nutrient stripping techniques. The Environment Agency (EA) sets standards for the quality of the final effluent discharged from Water Recycling Centres (WRC). At Ingoldisthorpe WRC, which discharges into the chalk-fed River Ingol, more ammonia and phosphate needed to be removed. NRT conducted a feasibility study to investigate what would be required to achieve the necessary improvements in water quality. Following this, the pioneering and innovative wetland-creation project was given the go-ahead on land next to the treatment works. Before Ingol wetland creation works. Credit: Google Earth. One-hectare in size, the site consists of four interlinked shallow cells, the first of which receives the newly-directed treatment outflow. The cells were filled with 25,000 native wetland plants such as veronica, marsh marigold, watercress and iris. These plants act as a natural water purifier, absorbing the remaining ammonia and phosphate from the water as it drains through each cell, before the ‘cleaned’ water is released from the fourth cell and into the River Ingol.  The site demonstrates how wetland habitats can both improve water management and deliver a valuable habitat for a diverse variety of wildlife – sandpipers, gadwall, oystercatchers, pied and grey wagtails, chiffchaffs and toads have already been visiting. A new meandering section of the Ingol was created to allow space for the wetland. The stretch contains new features including a narrower channel with a faster flow, riffles, and shallow and deeper sections. The result is a classic chalk-fed stream with clearwater and gravel chalk beds. 1400 native trees including oak, holly, hawthorn, field maple and hazel hornbeam have been planted to keep the river cool. The success of this ground-breaking system provides a case study example for replication of this project at other prospective sites.  Funded by Anglian Water, delivered in partnership by Norfolk Rivers Trust and the Environment Agency, and constructed by William Morfoot Ltd. This project highlights what can be achieved when working together across sectors.